Are you looking for a hotel on Amalfi Coast for your holiday? This might be the right page for you! Planning a holiday, knowing the best hotels and their positions …this could be a deal. Amalfi Coast is a place characterized by very narrow and winding roads, you should know it well to live it. 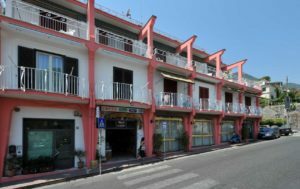 This hotel is very quaint and comfortable and is situated near Amalfi it also has very reasonable cheap prices. Moreover, Minori is a pretty town, there also things to visit here and the beaches are wonderful. Breakfast at hotel Europa is very tasty and very abundant., Why is it so special? Because it comes directly from Sal De Riso pastry. We will welcome you as if you were one of us, the staff is very professional and they care very much about their guests. Book your room now, here in the paragraphs below we will explain all the services and the economic prices of the rooms. Our hotel has many services for guests. Some of these are not inside the hotel but are affiliated. This is the best way to help you enjoy the comforts you need during your holiday. We have a reading room to relax in, parking for 10€, safe and reception 24 hours per day. We can take care of all your bookings for the lidos and sunbeds, restaurants where you might like to eat, for all transfers to and from Naples Airport. Trips and excursions through the agencies and wellness centers, fitness courses and sport areas are also available. We have 18 rooms, simply furnished but at the same time very comfortable. 6 of them are standard double rooms with balcony and sea view. 4 of them are quadruple, also with sea view. Also, we have 7 economy double rooms and a triple economy without sea view. Do you already know the way to reach the Coast? Coming from Salerno: take the tangenziale A3/E45, then Strada Statale SS18, and Strada Statale SS163 to Minori. Coming from Naples: take the A3 to Vietri Sul Mare and then the Strada Statale SS163 to Minori. Coming from Rome: take the A1/E45/A3 to Vietri Sul Mare, then Strada Statale SS163 to Minori. Hotel Europa s.a.s. by Narciso Maria Giuseppa, Via Strada Nuova, 65, 84010 Minori (SA) Italy. Minori is a really enchanting town, walking during the sunset time is something magical, you could do this after a day spent on the beach, or maybe after eating at Sal De Riso, the desserts are everything. Then conclude your day in relax at the hotel Europa. Moreover, the attractions of Minori are just a walk away. 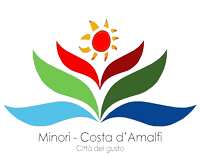 Minori inhabitants are proud of the Roman Villa, their churches, Torre Paradiso, the fountain of the Lions…something else of interest in Minori? It has one of the best beaches on the Coast because it is sandy. Did you know you can walk the Amalfi Coast? Isn’t it incredible having the opportunity to discover it on foot? In this way you can save money, enjoy the sun and the views instead of going by bus. If you enjoy a healthy life then you can enjoy this opportunity. Otherwise, you can rent a car with driver or better still a moped. You can visit the small town of Atrani, the wonderful Ravello (situated at the highest point) and the beautiful Amalfi, its Cathedral with cloisters, old town and Paper Museum. The most famous destinations of the Coast are Positano, Ravello and Amalfi, but there are other amazing attractions out of the way such as the Path of the Gods, Furore fiord and the Emerald Grotto. Let’s have a look. Positano is famous all over the world for its simplicity and beauty. It is beautiful because of its position and colourful vegetation. It is also famous for its fashion, if you go there don’t miss the opportunity to buy a pair of handmade sandals! Usually Amalfi Coast tourists have a look beyond the Coast to discover many other beautiful places. These are Sorrento, the enchanting Capri and Ischia Isles, historical cities like Pompeii, Paestum and Caserta, Naples, the interesting Salerno, the almost unknown Cilento Coast and the so important Vesuvio. If you have erached this part of the page it means you have read everyone of our suggestions. We hope we have been able to answer all your questions. We thank you so much for visiting us and wish you a wonderful holiday…don’t you forget to book your room in Hotel Europa if you like the idea!